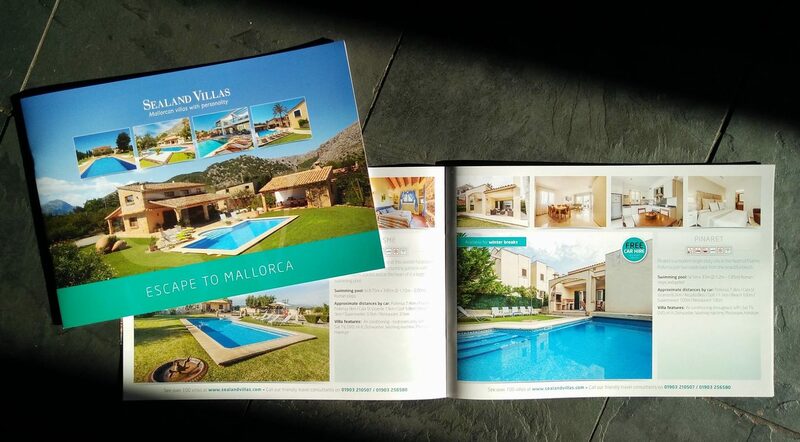 When Mallorcan holiday company Sealand Villas needed a special brochure urgently for an exhibition, Mondo was quick off the starting blocks. In under two weeks, we wrote, designed and printed 28 pages packed with glossy images of appealing villa getaways. Although we can perform such incredible feats, we’re just as happy to hear from clients with more generous timescales! We deliver great looking artwork for a wide range of marketing materials – brought to life with high quality printing and finishing. Covering everything from corporate literature, business stationery and brochures to direct mail and even taxi wraps, our ideas are designed to grab the attention of your target market…and a few more besides!